Who Pays When an Uber or Lyft Driver Causes an Accident? | Phoenix Personal Injury Law Blog - Breyer Law Offices, P.C. blog home Rideshare Accidents Who Pays When an Uber or Lyft Driver Causes an Accident? Companies like Uber and Lyft have made a name for themselves in the past couple years by using today’s smartphone culture to connect drivers and those who need a ride. Instead of taking the bus or hailing a cab, a user simply uses the company’s mobile app to signal the nearest driver that they need a ride. These apps are popular, and don’t seem to be going anywhere. With over 32,000 car accident deaths and hundreds of thousands of non-fatal crashes every year (according to the National Highway Traffic Safety Administration), an accident between an Uber or Lyft driver and another car is going to happen. If you’re injured in a rideshare accident, who pays? The question of how to handle Uber or Lyft car accidents has plagued the companies and their drivers’ insurers and is becoming a concern. 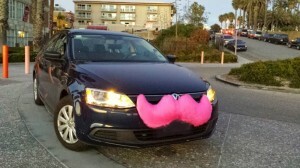 Initially, neither Uber nor Lyft offered coverage to drivers who were in accidents. Now, both companies do offer coverage, but with a deductible – which can be as high as $2,500. When any car accident happens, questions of who was at fault, what each person’s coverage limits are, and what needs to be paid all affect what settlement an insurance company offers to injured people. No matter what happened in your accident, if you’re offered a settlement by an insurance company, don’t accept right away. Instead, take the time you need to consult with an experienced lawyer who can help you ensure that the settlement fully and fairly compensates you for all your losses. This could include any additional medical bills, or lost time from work you might face in the future. Need to navigate the conflicting demands of insurance companies after a car crash? An experienced car accident lawyer can help. Call The Husband and Wife Law Team. We can be reached at (602) 267-1280.